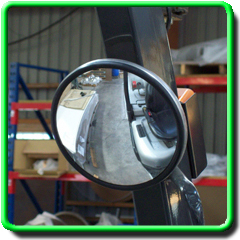 The All Purpose Forklift mirror is fitted with an impact resistant acrylic face and stainless steel back, making this a very robust and effective mirror for your forklift. Supplied with an easy to adjust pressed fit bracketing system making installation a simple job. 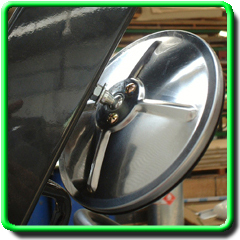 The high definition and distortion free reflection is ideal for rear-vision safety in industrial situations.